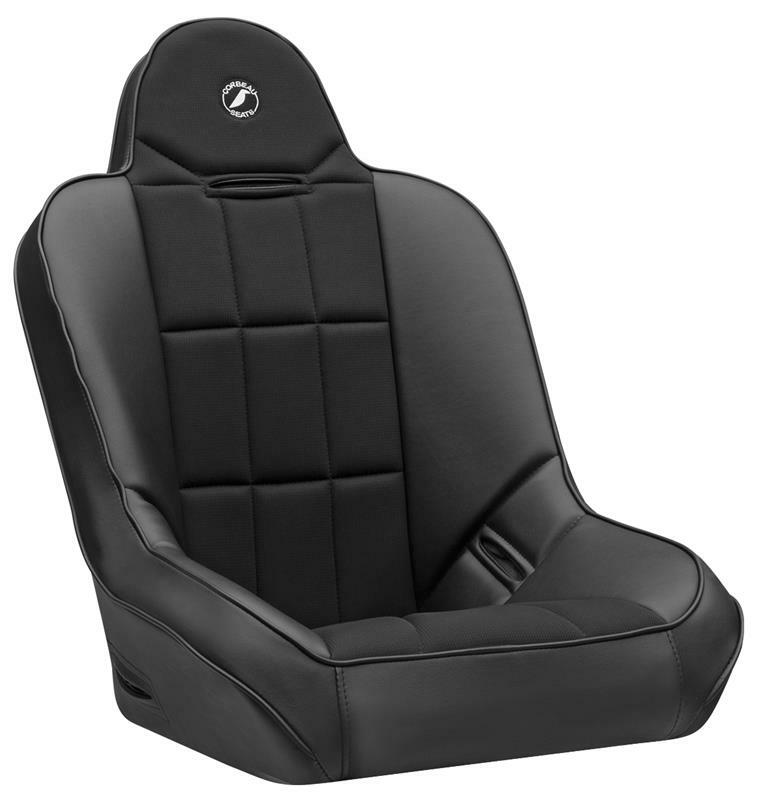 The Corbeau Baja SS suspension seat provides drivers with the ultimate in comfort and support. The revolutionary “suspension” design helps make the Baja SS the perfect off-road seat by absorbing heavy bumps and turns. Standard features include: powder coated steel frame, reinforced nylon inner liner laced with military grade suspension cords, integrated full body support and 5-point harness capability. The Baja SS will fit up to a 36-38” waist. Baja Adapters (A22002F) are required on all Baja SS seats using custom brackets.